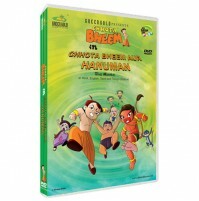 Chhota Bheem and his friends are with Shastri Dhoomketu who is trying to build a new machine based on the technology of how a volcano works. 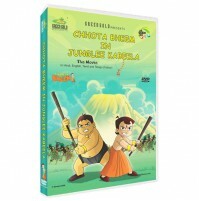 Dholu and Bholu mess around a bit which ends up in Kalia getting a new -smoking- hairdo. 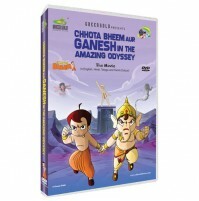 As Bheem and Chutki come up with some smart ways to get the machine back up and running, Indumati arrives in her chariot along with Jack who is Bheem's Samurai friend. Jack looks extremely worried and relates that his entire clan, that stays in the province of Iga in Japan, is under threat from an unseen enemy. The youngsters of his village are all disappearing at an alarming rate and all efforts to trace them are drastically failing. Furthermore, their just and kind king has been threatened by a cruel Emperor named Hidoi Shin who has laid siege around the entire kingdom. The samurai of Jacks village are loyal to the king and lead his army but the disappearance of the good fighters has now put them at a disadvantage. Jacks grandfather , the key strategist and advisor to the king, was found in a semi-delirious state muttering vaguely about - a secret shadow-. Jack had resolved to take matters into his hand but everything just got worse. Time was short and something had to be done to stop the evil Hidoi shin from taking over their kingdom. 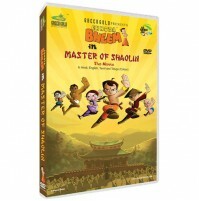 Bheem and his friends travel to Japan along with Jack to save his clan and to solve the Shinobi's secret.